The “MN Corn Grows MN” campaign was launched to share information with all Minnesotans about the impact of corn farming on the overall growth of the state. In Greater Minnesota, that impact can be seen in the vital role corn farming plays in supporting rural communities. Exports of Minnesota-grown corn produced more than $400 million in gross regional product for the state in 2017, with corn crop value totaling more than $4.5 billion. Those totals translate to Minnesota being the fourth largest producer of corn in the country. That output by the state’s 24,000 corn farmers is a key contributor to the growth of rural communities statewide. 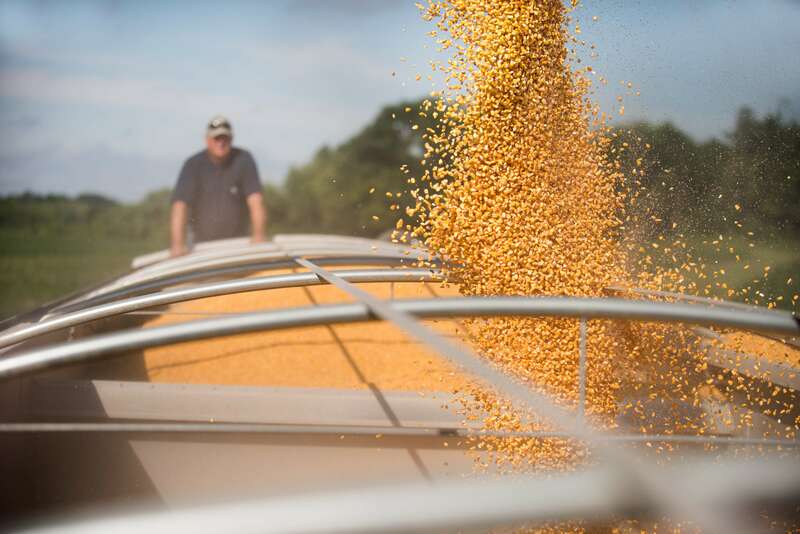 Local coops grow with the health of its members, and Greater Minnesota’s 20 ethanol plants need a steady supply of corn bushels for long-term survival. Rural city spending is buoyed by the economic contributions of corn-related taxes and sales. And people employed as part of Minnesota’s corn sector are vital contributors to business on Main Street in Greater Minnesota towns. And as outstate residents, Minnesota’s corn growers care deeply for the future health of their community. To contribute to a brighter future, farmers invest in the corn check-off and become active members of the Minnesota Corn Growers Association (MCGA) to advocate for rural Minnesota at the Capitol. For example, MCGA grower leaders advocate each year to ensure that Greater Minnesota receives an equitable share of new transportation funding to maintain rural roads and bridges. Minnesota’s corn farmers have also advocated for expanded broadband access in outstate communities, securing $35 million in funding during the 2016 legislative session. And last year, MCGA was part of a coalition effort to enact the Ag2School property tax credit, which provides a 40-percent credit on farm property taxes levied for school district bonding projects. The credit not only provides property tax relief to farmers, but also ensures a more equitable system for rural school funding. Over the last year, Minnesota’s corn farmers, as part of MN Corn Grows MN, have also invited both gubernatorial and congressional candidates to rural Minnesota to discuss the issues that are impacting the farm and their communities. Minnesota needs strong rural communities for long-term sustainability. The state’s corn growers, through their economic impact and advocacy efforts, are proud contributors to building a healthier Greater Minnesota. It is one of the many ways MN Corn Grows MN.